• Ark. State Police - Concealed Handgun Licensing Info. Need a gun lock to secure your firearm? You can obtain one for free, courtesy of Project Childsafe, at the police department. (877-843-5787). The call is free and all information is kept confidential. Read the Carlisle Police Department's policy regarding racial profiling. The Carlisle Police Department sets high standards for its members, and expects them to conduct themselves as professionals at all times. 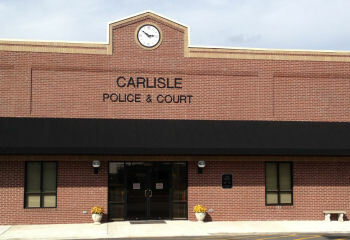 If you have a complaint regarding the actions of a Carlisle Police Department employee, we want to know about it. You can now download a Complaint Against Police Personnel Form online. Want to know if you've had too much to drink? Check out the Drink Wheel.